I have a number of book reviews that will be published within the next few months, a handful of them are listed below in picture format (so you can view the cover of the book). 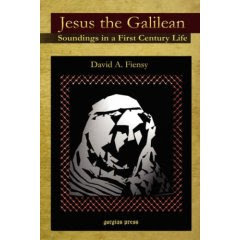 Currently, I am working through the great book just published by David A. Fiensy titled, Jesus the Galilean: Soundings in a First Century Life. That review should be published around April. Recently, though, I completed a review of Marshall Govindan's, The Wisdom of Jesus and the Yoga Siddhas. I am interested in telling you specifically about this one because the book was free and it was easy to acquire. I was surfing the net one day and came across http://www.spiritrestoration.org/. If you are qualified, you can sign up and they'll ship you a free book to read and review, they'll then publish your work on their website (mine is still forthcoming on their site; however, and though this was not nearly my favorite book or review, since it was easy to get, I have gone ahead posted the review below in this column; for those of you who may be interested in starting to do this type of stuff, this might be a good place for you to begin). The Wisdom of Jesus and the Yoga Siddhas (Quebec, Canada: Babaji's Kriya Yoga & Publications, Inc., 2007), 219pp. As a young man, Marshall Govindan made a decision to trust Jesus Christ as Savior and Lord. It was this choice that led Govindan to begin think more deeply about life and its connections with spirituality. Ultimately and early on, though, the energies of Govindan’s search were channeled away from Christianity and towards Buddhism. It was in this newfound experience of Buddhism that Govindan remarks, “I felt as if I had finally found my path to God” (15). When Govindan eventually returned to reading and studying the Bible, it was from this vantage point that he did so. In short, he began employing a Buddhist-spiritual hermeneutic (this is the hermeneutic, which The Wisdom of Jesus and the Yoga Siddhas operates on). 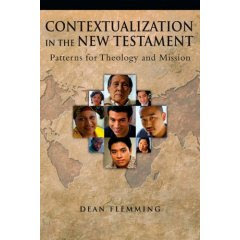 This, combined with the scholarship of extremely liberal Bible interpreters, though, is what ultimately skews his reading of the Biblical texts. Indeed, Govindan’s work is littered with eisogesis and distorted claims about the Bible. 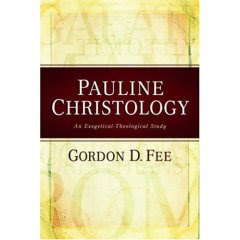 Even a quick perusing of his bibliography reveals his bias as he relies solely on the works of authors such as J. D. Crossan, E. Pagels and J. S. Spong. It is their works and the claims of the Jesus Seminar that Govindan takes as Gospel, something that any serious Bible scholar would be incredibly wary and suspicious of. One of Govindan’s aims in this book is to suggest that there are parallels between the teachings of Jesus and the instructions of the Yoga Siddhas (free thinking Buddhists whose legacy, from the present, reaches back thousands of years). Yet, in this reviewer’s opinion, Govindan never achieves that aim because he gets too sidetracked in attempting to discredit the claims of traditional biblical scholars. Indeed, that seems to be Govindan’s focus. He could have shown supposed parallels without employing any form of defamation. At one juncture, Govindan says that, to the Siddhas, “The teaching not the teacher is what is important” (77). This point, foundational to Govindan’s book, is what leads him to suggest that Jesus did not want people to worship Him but rather to practice inner worship. Govindan also notes that, “as Buddhism itself became a religion, Buddha became an object of worship, just as Jesus did” (71). Again, to Govindan, individual worship within oneself is the key to true spirituality, not the worship of another. Govindan compares himself, others and the Siddhas to Jesus arguing that through meditation, many enlightened persons have reached and still can reach divine status (68, 82). Jesus, then, is not “special” (68). It is remarks such as these that attest to Govindan’s stepping outside the bounds of Christian orthodoxy—a step that he, as a “free thinker” is proud to take. While Govindan’s book is riddled with inaccuracies (e.g. the statement that “The concept of plagiarism was unknown in ancient times,” 49), slanted exegesis (e.g. reliance on the most extreme liberal scholarship) and misshaped theology (e.g. anyone can achieve divine status just as Jesus did) there are a couple of positive things one can glean from the book: 1) The reader will be forced to think about and research a great number of historical, religious and theological issues, and 2) The reader will accrue knowledge of another religious sect and thus, be able to converse with members of that group.The Wisdom of Jesus and the Yoga Siddhas has the potential to be a good discussion starter but with that said, for fruitful discussion to occur, one must carefully work through the plethora of errors contained within this volume. Indeed, that may be an issue worthy of discussion in and of itself.